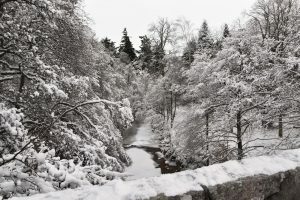 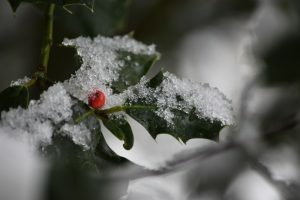 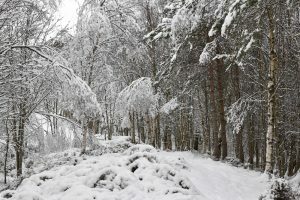 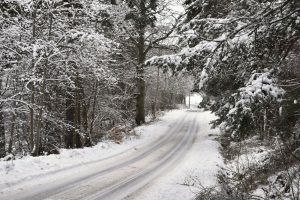 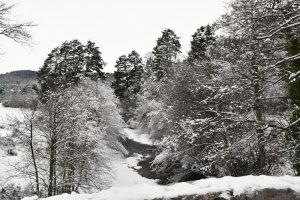 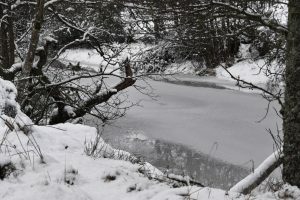 All of a sudden it really feels like winter as the snow has been falling thick and fast in Aberdeenshire. 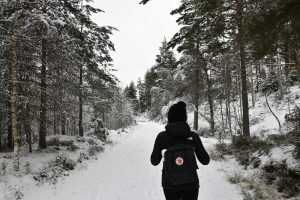 On Sunday we woke up to the fluffiest snow yet so decided to wrap up and head further into the hills for an adventure. 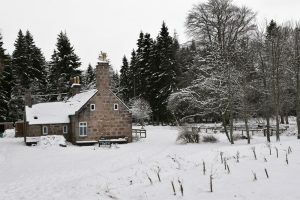 After a short drive we arrived at the completely magical Glen Tanar Estate which lies just tucked into the corner of the Cairngorms National Park. 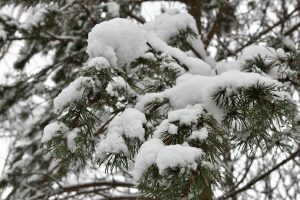 It was a total winter wonderland with thick, beautiful snow covering everything in sight! 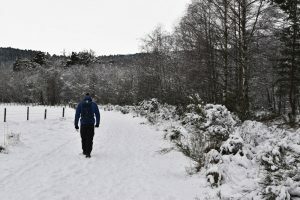 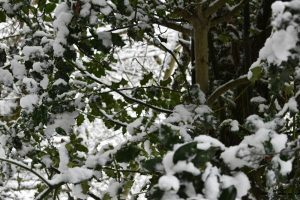 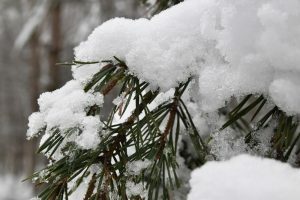 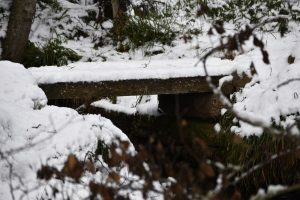 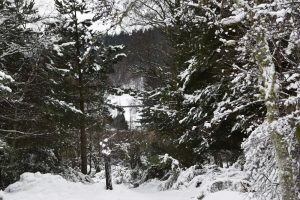 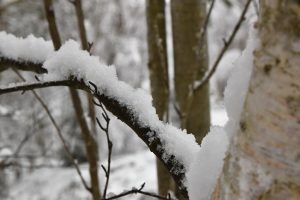 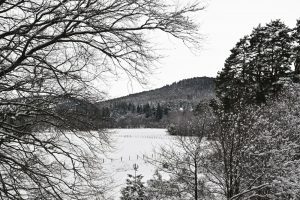 We chose to follow the white trail which leads over the bridge and round the fields before winding through the tallest ancient pine forests where the higher up we got the thicker the snow became underfoot. 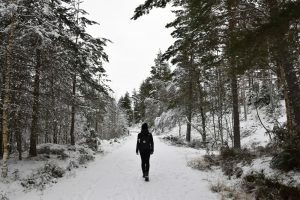 We didn’t meet a soul, it was like there was no one in the world but us! 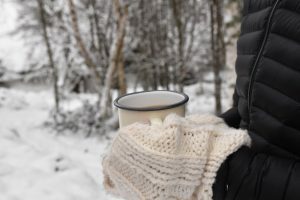 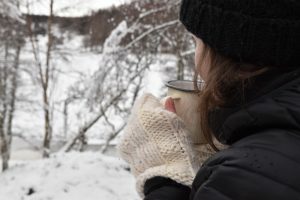 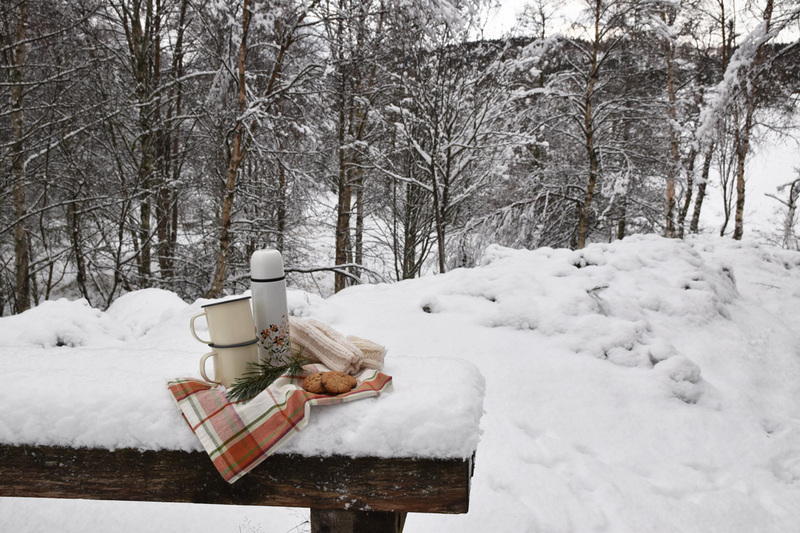 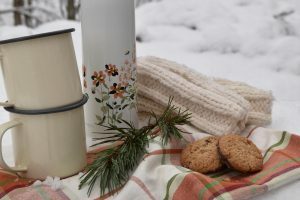 After an hour and a half of walking it was time for a picnic just as we found the perfect spot, a snow covered bench nestled between the trees and overlooking the frozen river. 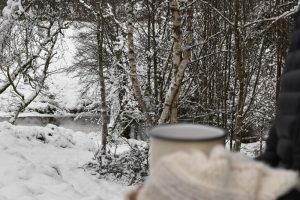 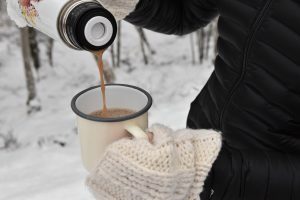 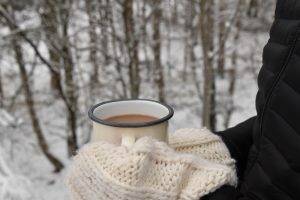 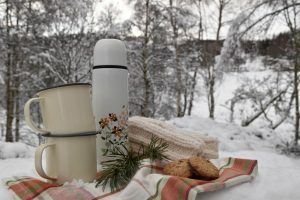 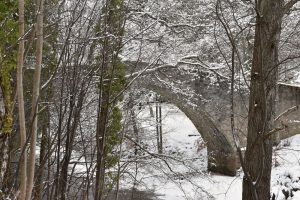 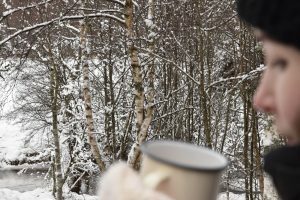 Refuelled and a little reheated on we continued up stream by the river and through another magical forest, ploughing through the snow before making it back to the little stone bridge. 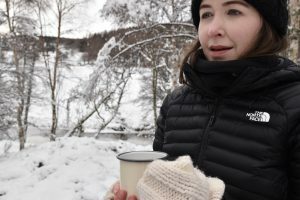 Hours of adventuring in the fresh, cold air fully embracing the snow whilst it’s here, my absolute favourite way to spend a winters day in the stunning Scottish wilderness!